When you think "retail worker" do you imagine surly high school students folding clothes and loudly chewing bubble gum at Forever 21? That's certainly a subset, but many full-grown adults make their living on the sales floor while being overworked and underpaid. Unfortunately, that might not be changing anytime soon, because things are only getting worse for retail workers. 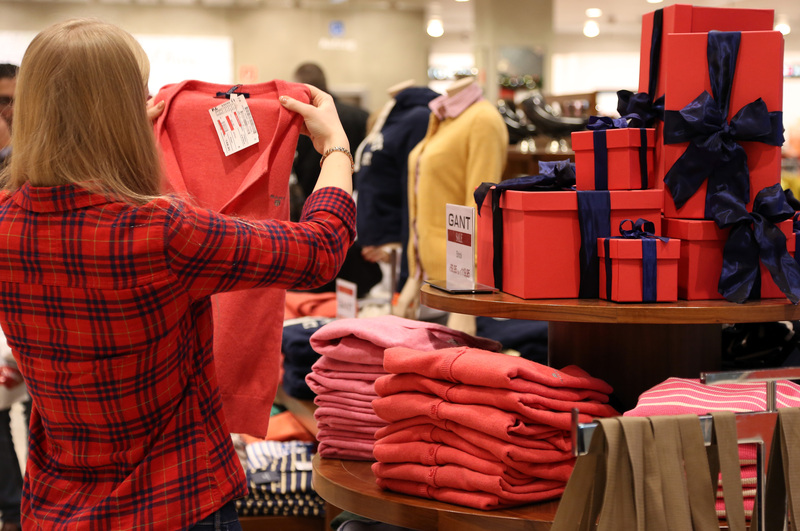 According to NBC News, retail workers are earning less money now than they did 35 years ago and are continually expected to "accept unpredictable schedules so retailers can get the most work out of them at the lowest cost." Given that millions of men and women work in retail, it's somewhat baffling that the career path continues to look so bleak. The unpredictably changing landscape of our Internet age isn't doing retail workers any favors, as companies struggle to change with the times "while also trying to assess the impact on lower-level workers of things like workforce optimization scheduling systems." It's no secret that working in retail is far from glamorous — just take a gander at this "22 Most Soul-Crushing Things About Working in Retail" list from BuzzFeed. If you've ever held down a retail position, I guarantee you'll relate. I worked at a tea retailer that shall not be named for four months after college and it was dreadful. I made around $80-$100 per week (in New York City) and was basically expected to keep my entire schedule open so that they could move my hours around on a whim. My co-workers all had multiple jobs at different stores. These days, retail is proving to be an unsustainable career path for those seeking to support themselves beyond earning pocket money. NBC News compiled statistics that state the average hourly wage for the 12.9 million non-supervisory retail workers in the United States is $14.02 an hour, which is apparently a 12.2 percent decrease in wage since 1979. Talk about backwards! Because of an increased reliance on the aforementioned workforce optimization technology, workers are sometimes sent home in the middle of a shift if the store isn't busy, or asked to "sit at home on call and only come in if there is enough work." I witnessed both trends when I worked in sales. This is troubling because it means that retail becomes a less and less viable career path by which people can pay their bills. As Zeynep Ton, adjunct associate professor at MIT’s Sloan School of Management, told NBC, "I think one reason for the bad jobs in retail is that the philosophy of most retailers is that labor is just a cost, and they should minimize that cost." If the future of retail workers is to improve, that mentality will have to change.